Seemingly overnight a new industry has emerged: 3D printing. And while it’s easy to get excited about the technology, it’s the design of the 3D objects that really matters. 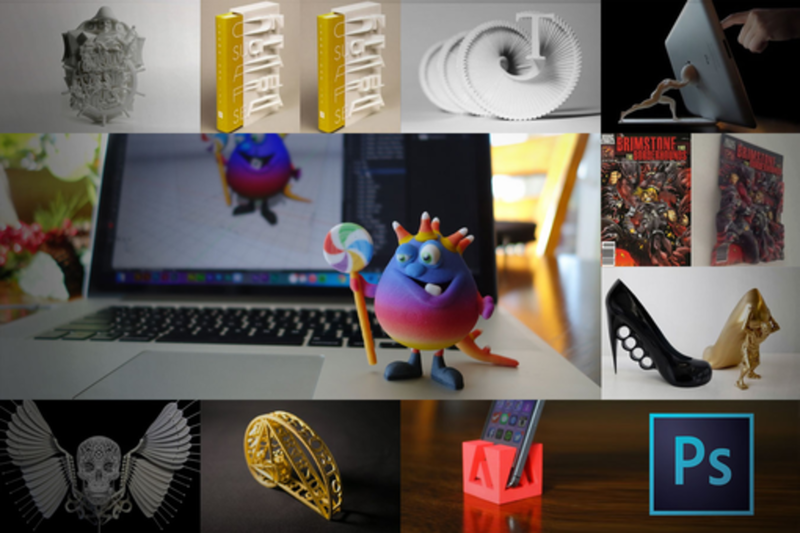 Thankfully the new 3D printing capabilities in Adobe Photoshop allow graphic designers to take their design skills in a new direction and create, perfect, preview, and print 3D designs in a familiar environment. In this session you will learn what you need to know to bring your ideas and designs into the physical world including the different materials for printing, how to use your own printer or a printing service, how to sell your 3D design services and more. What was once on your screen can be a physical object in front of you. The only question is, what will you create, and where will this new industry take you? Paul Trani is a Senior Worldwide Creative Cloud Evangelist for Adobe where he is passionate about helping designers build compelling content using their creativity and new technology. Whether it’s using 3D printing, touch devices, or building cutting-edge web and mobile experiences. Paul is an award-winning designer, an Adobe Certified Instructor, and a courseware developer with 15 years of experience. A writer and prolific trainer, Paul has earned top author status at Lynda.com and has created a steady stream of content for AdobeTV and Creative Cloud Learn as well as www.paultrani.com.